The most delicious, the most difficult to prepare, but the favorite winter preserve, “Ajvar” is part of every home and every table in Macedonia. Hot or cold, spread on bread with or without white cheese, it makes the mouth of young and older people - red. 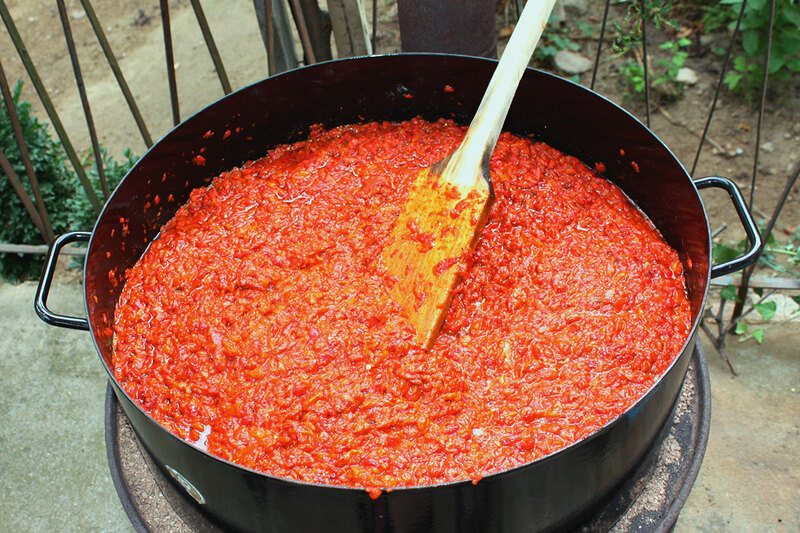 To prepare ajvar ,you need: red peppers – Kurtovska Kapija, eggplants, oil, sugar and salt. Churek or unleavened cake is sweet bread that is prepared for many religious and family rituals. The custom of breaking the churek for “armas” is most ceremonious ancient Macedonian tradition, which today is inevitable ritual during the engagement between Macedonians. The churek is mixed and decorated in different ways, depending on the imagination and the creativity of the one who does the ritual for which it is intended. If it is grease churek is being kneaded with eggs and milk, and if it is fasting - it is being kneaded lean. To prepare churek, you need: flour, milk, oil, eggs, yeast, vanilla, sugar, orange, raisins, margarine and salt. 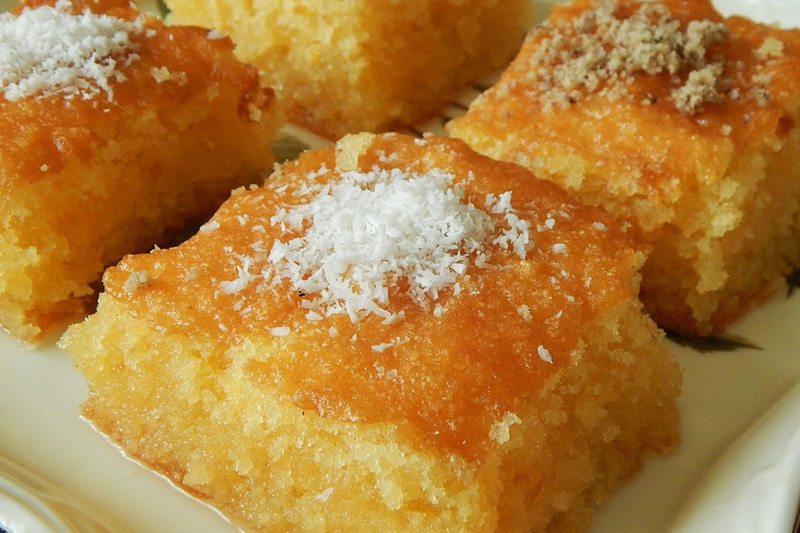 The cake made by our mothers and grandmothers and taking us back to our childhood is Ravanlija - a lite dessert with sorbet which can be found on the menu of any restaurant in Macedonia. 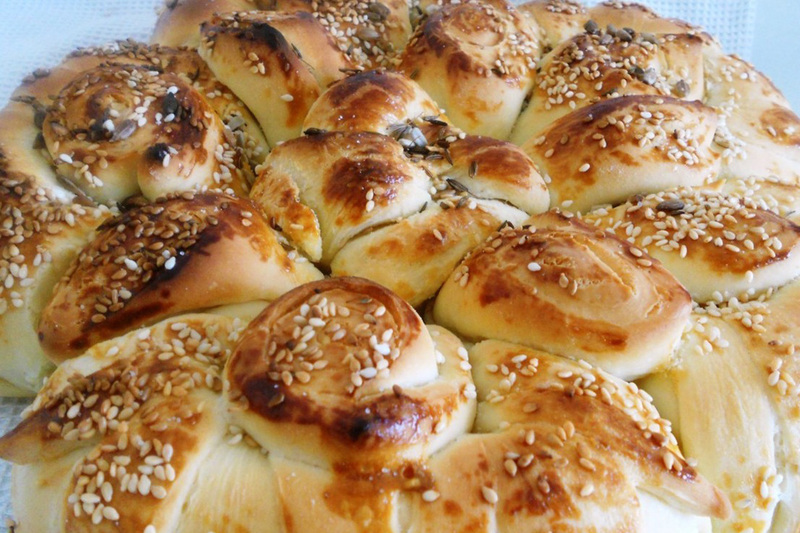 To prepare Ravanlija, you need: eggs, sugar, walnuts, oil, milk, semolina, flour and baking powder for the dough. And the sorbet is made of water, sugar and lemon juice. Traditional, delicious and easy combination of several types of vegetables sprinkled with grated white cheese gives the irreplaceable taste of the Shopska salad, which is often present on every Macedonian table, as appetizer and accompanied by a glass of homemade brandy. 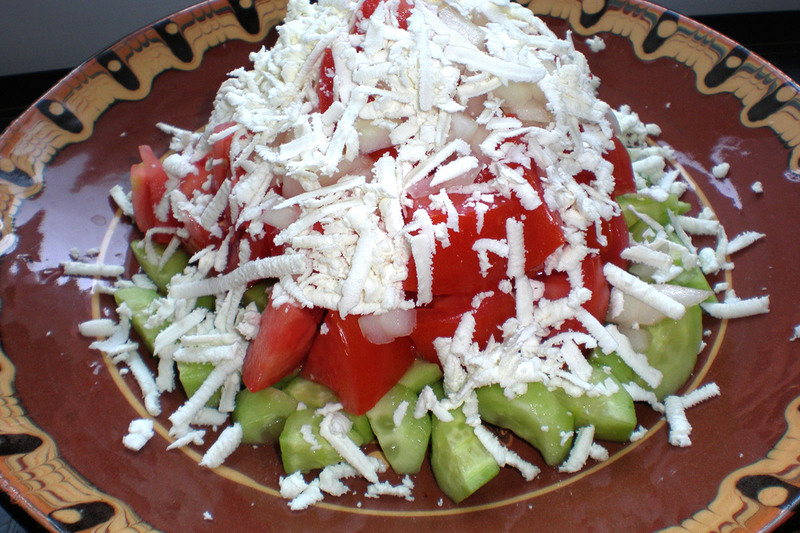 To prepare Shopska salad, you need: green pepper, onion bulb, tomatoes, cucumbers, white sheep cheese, oil and salt. 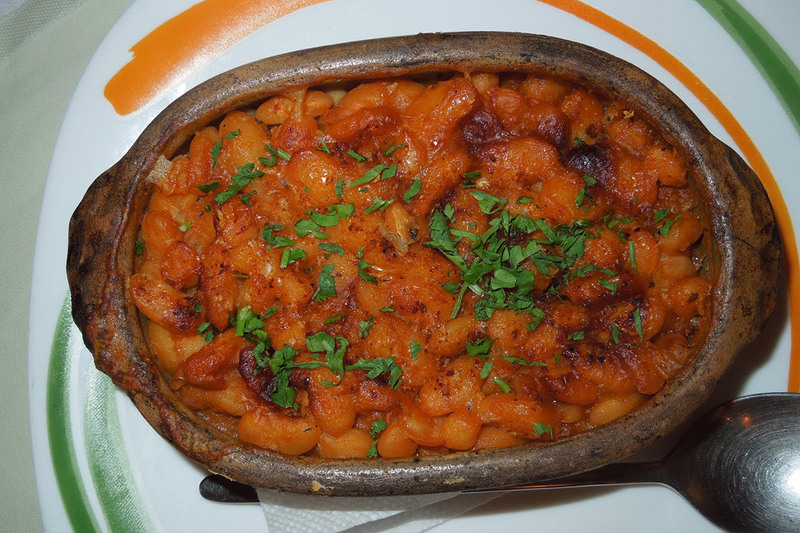 Tavche gravche is beans in a skillet – a main traditional Macedonian dish and a part of the family tradition dinner table, every Friday. To prepare Tavche gravche, you need: beans, onion, pepper, red pepper, oil, bay leaf and salt.